Spring is just around the corner and event organisers’ thoughts are increasingly turning to summer parties, looking for that perfect outdoor space to provide a bucolic or striking backdrop to an occasion. 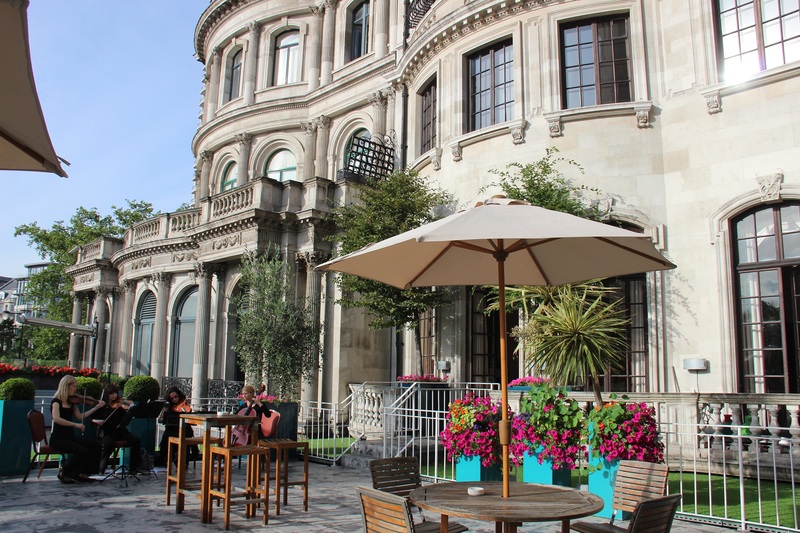 Although we can never guarantee the weather in the capital, one thing we can be sure of is the multitude of unique venues across London with interesting outdoor spaces, including some which might surprise you! 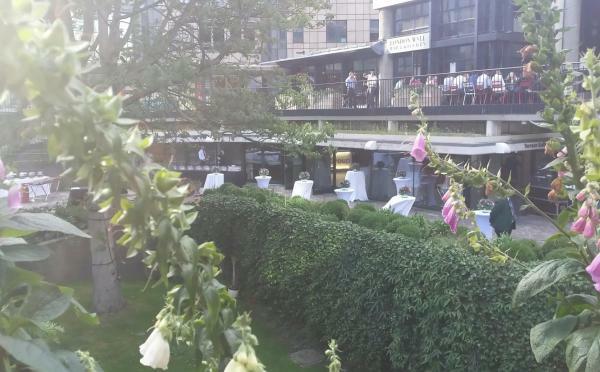 Whether a roof terrace with a breathtaking view or a secluded garden our members can offer a space for any occasion. Here are five venues with unexpected outdoor spaces sure to intrigue and inspire. 66 Portland Place, home to the Royal Institute of British Architects, features a leafy roof terrace alongside its wide range of beautiful, flexible event spaces. 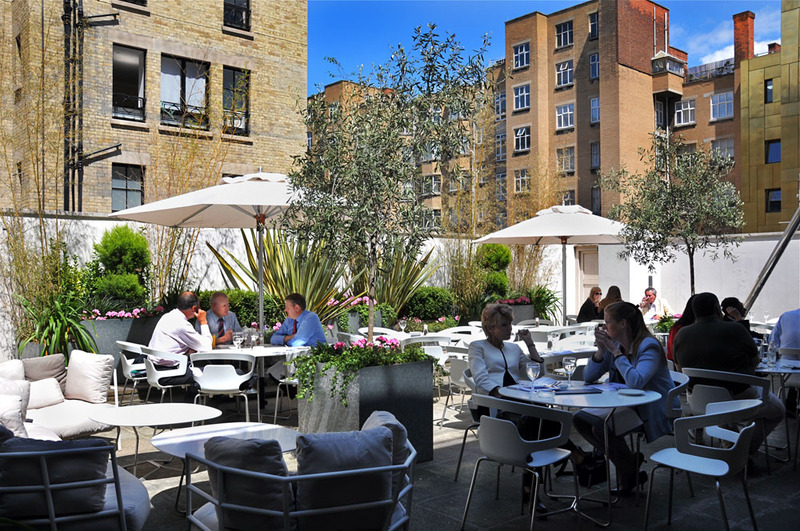 The terrace is a tranquil event space surrounded by the iconic skyline of central London. The terrace is the perfect spot for drinks receptions, canapés or even a barbecue. The adjacent Florence Hall accommodates up to 400 guests, and the team at the RIBA have created new summer menus that promise to bring the flavours of British summertime into the heart of the city. 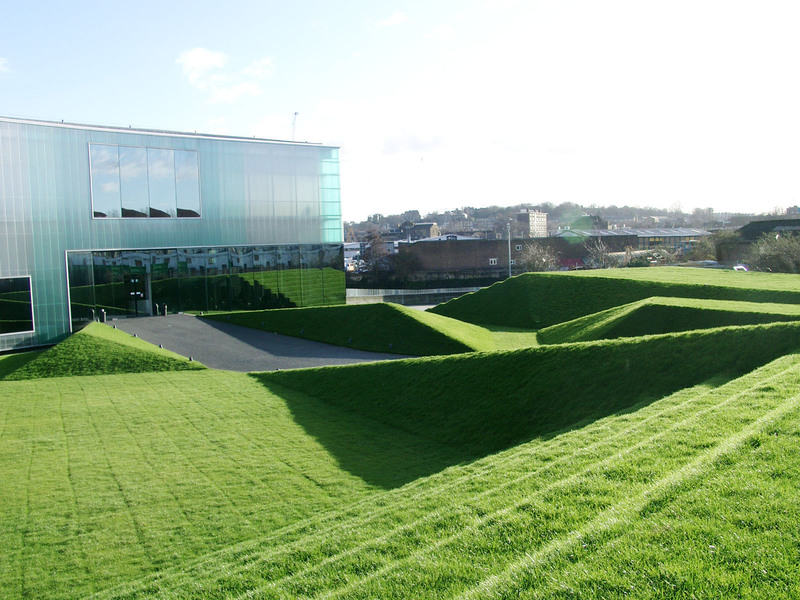 Set within Laban Building’s ‘folded’ landscape gardens, designed by Vogt Architects, the venue’s 200-seat amphitheatre is an impressive location for any outdoor event. Designed primarily as a performance area, the amphitheatre is also an awe-inspiring setting for imaginative open-air functions including garden parties, award ceremonies, performances, product launches and cocktail receptions. Furthermore, the building’s façade provides a dynamic backdrop for any special event, with the opportunity to project digital imagery onto the polycarbonate outer skin of the façade. This offers a wealth of creative potential in a truly inspiring setting. There is no place better to experience Twickenham Stadium than standing next to the very pitch that hosts the action on a match day. In the warmer months the venue’s events team pull out all the stops to offer fantastic BBQ's and pitch-side drinks receptions. 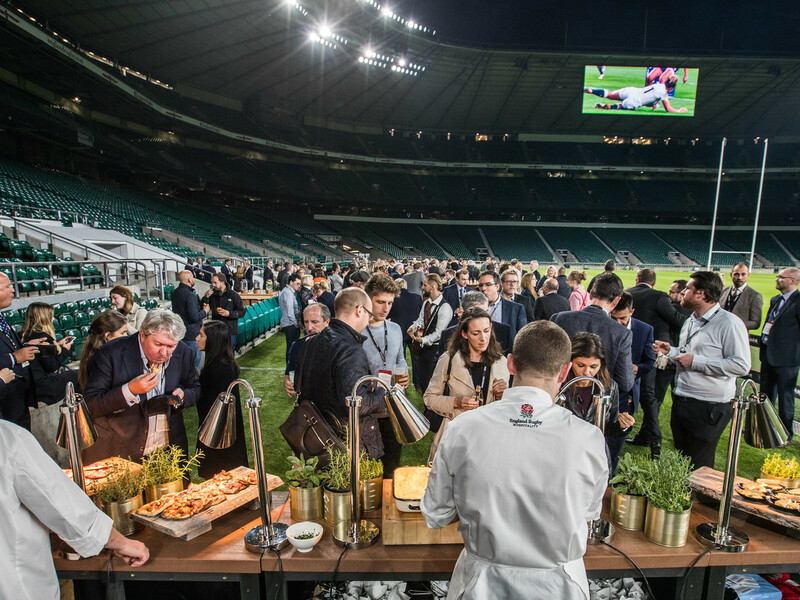 To add further value, the England Changing Rooms and Players Tunnel are also available for drinks and photos, transporting guests right to the heart of England rugby. Home to the Royal Aeronautical Society, the venues has an expansive roof terrace commanding unrivalled views over Hyde Park. It is a spectacular Summer Party venue in the heart of Mayfair. The adjoining Argyll Room is ornate and elegant, with fine bow windows at each end flooding the room with natural light (perfect for wet weather). Leading directly onto the stunning roof terrace, it’s a rare hidden gem in central Mayfair. Museum of London’s London Wall site features a beautiful garden oasis in the heart of The City. As well as being a rare patch of greenery in the hectic square mile, it’s also the resting place of over 40,000 skeletons!